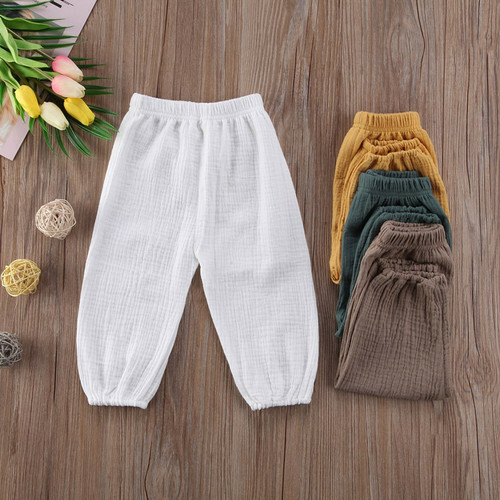 The Hub has a new selection of soft cotton Kids Pants in store now. Three colors: Green, Tan and Brown. Sizes for 1 to 2 year olds. Loose fitting, easy to get on and off and very comfy for your young kids.